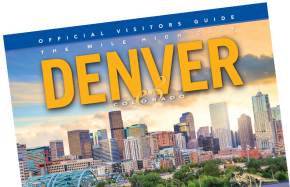 Let the Denver Sports® Commission help you find the best venue, accommodations, restaurants, transportation, entertainment and more to make your Denver event memorable. Explore the possibilities! And, our service is completely FREE! Call 303-571-9460, 800-880-9059 or questions@denversports.org to start planning today!